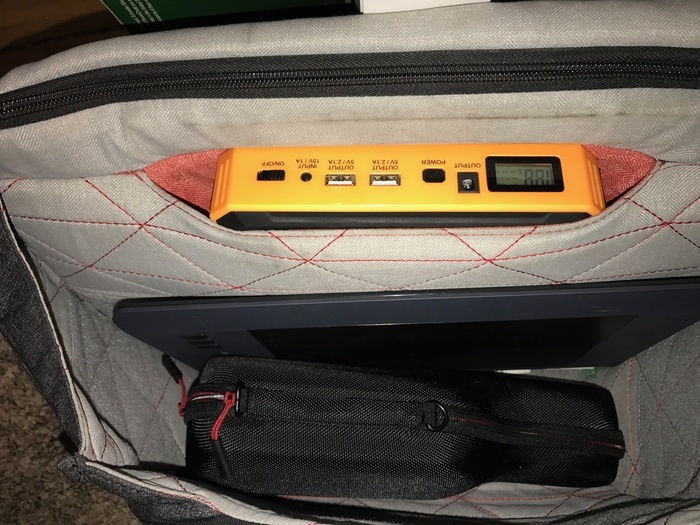 I don’t always write about power solutions for video and photography equipment, but when I do, it’s because I see something that is versatile, space-saving, and designed with traveling in mind. I appreciate all three of those things in a product, so the Crank Juice Box might be a product I get behind. I travel a lot for production projects, which is why I wanted to take a closer look at this item. Even when I go away for just a simple weekend job, I tend to pack quite a bit of gear. Usually a laptop, iPad, a few cameras, iPhone, hard drives, and maybe something fun like a GoPro. All of these items need power, and especially for things like my laptop and phone, I’ll run these down in a single day of use so they need power constantly. I already own a small portable power source for my phone, but it can’t power my laptop or anything that isn’t USB. So one device to rule them all sounds pretty cool, and so does leaving my power supply and USB chargers at home when I'm trying to stay as light as possible. I looked around my gear closet for a few minutes and here were some of the pieces of gear I saw that could be powered by the Crank: a Zoom H4n, DJI Osmo, GoPro, external monitor, hard drives, Kessler Second Shooter, and some small LED lights. 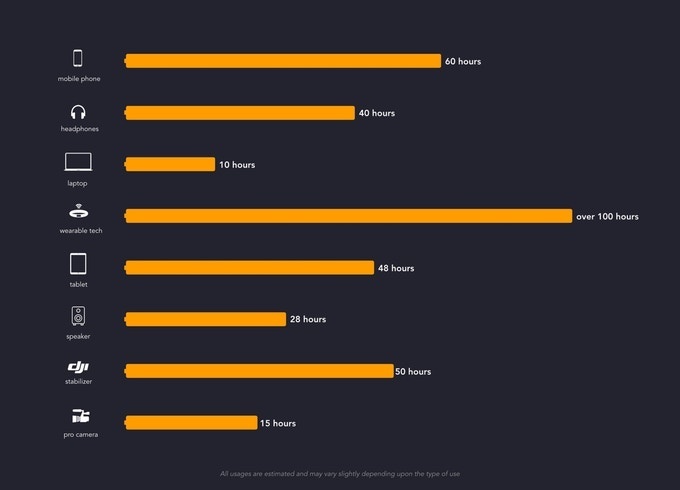 The amount of time it will power these items will of course vary, but here's a breakdown of approximate times you can expect on some more common items according to the company. A cage with a 1/4"-20 mount is expected in 2018 for camera-mounting the Crank above, below, or wherever on your rig. An important distinction between this power supply and other portable power bricks are the different voltages. With Crank, it can power accessories with different voltages without worry. Here’s the specs on the output voltages for those who want to know: 8.4V/2.1A 12V/2A; 16V/3.5A; 19V/3.5A. It also shows an actual power percentage on a small display, unlike a lot of other portable chargers that just have three bars to indicate the power left. Their Kickstarter goal is $50,000 and as of the writing of this article they are almost at $18,000. There are a number of rewards available still, including being able to snag one of these for $109. 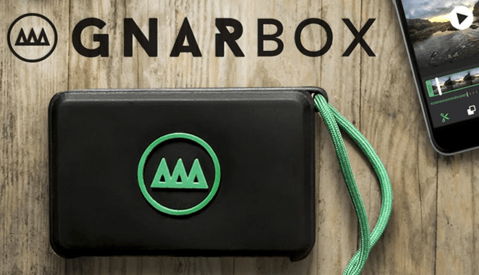 There are even more features and items that come with the Crank Kit than what I’ve noted here, so if you’re like me and want to see how this could fit into your travel kit, check out the Crank Juice Box on Kickstarter. 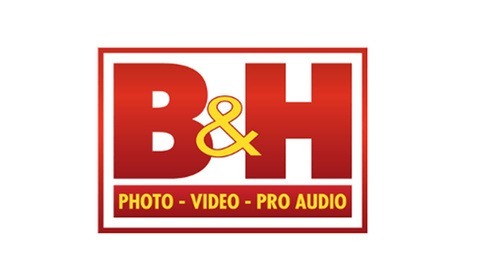 Get Into the Mood for Deals With These B&H Specials! There are some alternatives to this avaliable for a while now... I have one... It can also jump start a car... charge everything just like this. And it have several lights... flahslights and sos lights... the only thing missing is the lcd screen with the battery power. Search on those aliexpress and you will find it. mine have 68800mah of juice. To compare this to another jumpstarted with a similar mAh isn't a correct comparison. 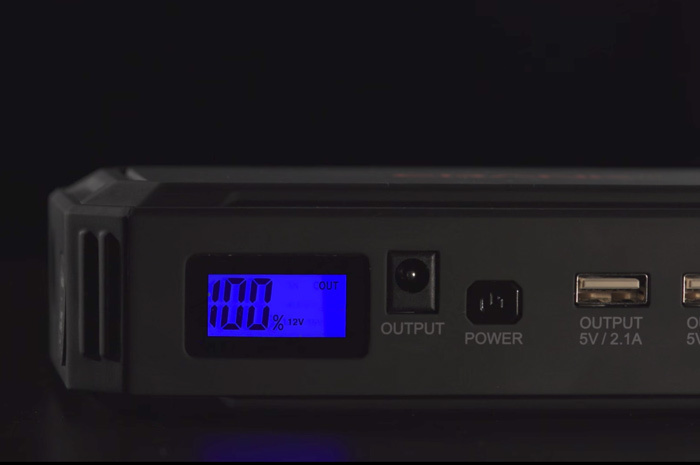 The Crank is designed with 4 voltages for the power out that allow for Apple Mac Book Pros, PCs, Canon C100s, and Sony Fs5's which all require a different power out. Our issue with all of the ones on Alibaba, amazon, or wherever is that they only had 1 Voltage or only worked on USB. In addition to the quick charge 2 USB outlets we wired this to work with the professional camera and computer equipment that we use in production. That is the key on why these are different. I'm not great with electrical so I'll ask this because I'm curious. Why is the AC/DC converter that comes with the electronic product not sufficient for adjusting the differences in amps and voltages outputted by the battery? Most laptops convert 120V into 8-18v for use. Why can't you just make a battery that exports enough amps and voltage for the converter? Are you running all you gear through generic power cords or something? I understand the usefulness of having the standard 5V 2amp USB we are accustom with but isn't the Western AC two prong and a ground plug adequate for computers? The design looks awesome by the way. Good luck with the launch! One other notable, why didn't they at least put an input on the case that charges the unit so you can just plug in the case instead of taking all that out to do it, I mean they built and designed the case. btw, does anybody know a way to power things like a laptop (or a phone, or other USB powerable devices) with a regular V-mount battery ? The V mount batteries don't have the voltage out specifically for things like Apple or PCs or the connections and cables to do that. 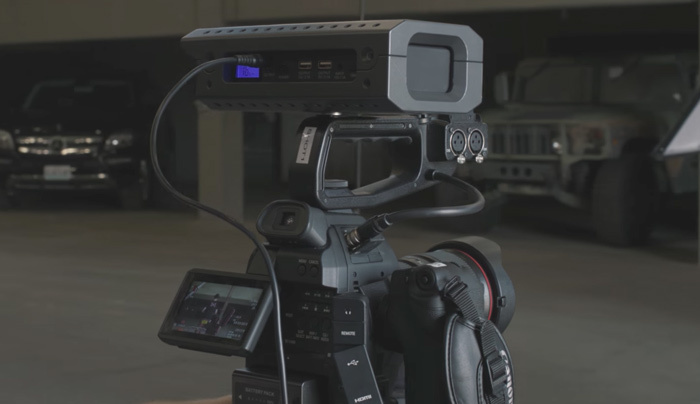 This was another reason why we designed the Crank to work with a variety of production tools like the 1 Man Crew, PCs, the Zoom H6, Rode mics, Apple Computers (ours comes with the new USB C and the MagSafe charger cables) and the gear we use in production for video. This is really what separates us from the myriad of other basic chargers or jump starters out there. For a couple hundred dollars you can make a setup that has so much more capacity and allows for actual usability. First, nobody is going to carry this thing around. 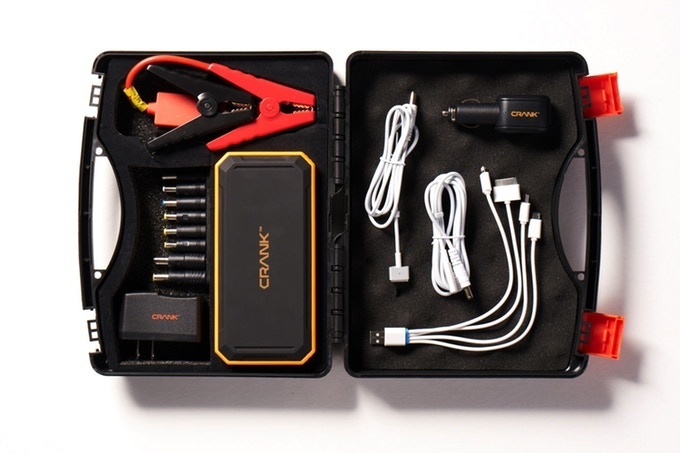 We already have so much stuff, so if you are going to invest in a cumbersome portable battery generator, why not get one that actually is worth a damn. Get a 100Ah battery with a 50watt solar panel, an Mppt charge controller and an actual pure sine wave inverter, leave it all in your car, put the solar on the roof when you park and you will actually be storing energy you can use when you will need it. This thing needs to be plugged in, just like the devices you need to plug in, and what happens when you forget or it runs low? Just get a real Solar battery system. Or you can buy this stupid thing so you can Instagram in the Whole foods parking lot for an extra couple hours a day. We are actually working on a solar component for V2 that will work with this one. That isn't a big change for us but with V1 we wanted to keep it simple. And actually this isn't cumbersome at all. It fits perfectly in a Peak Design messenger bag pouch at the top and weighs about the same as the Apple Computer charger Brick. So you can leave your charger at home and carry around this battery instead that chargers a ton of things. Also to note for things like mobile devices, you can literally go on a weekend 3 day trip and only use this to charge your mobile devices before it drains. I did at Photokina for 4 days and never once plugged into a wall. I have a similar unit. Does all the same as the kick starter..